Peasant farmers and anyone who is not happy with the cheap price the PF government is willing to pay for a bag of maize should go and find better buyers, says Agriculture Minister Given Lubinda. Following numerous complaints from farmers across the country that the maize price the government has set is too little, Lubinda said the price will remain at K75 per 50kg bag. This price does not take into consideration the costs the farmers incur to transport the heavy bags of maize to selling points. 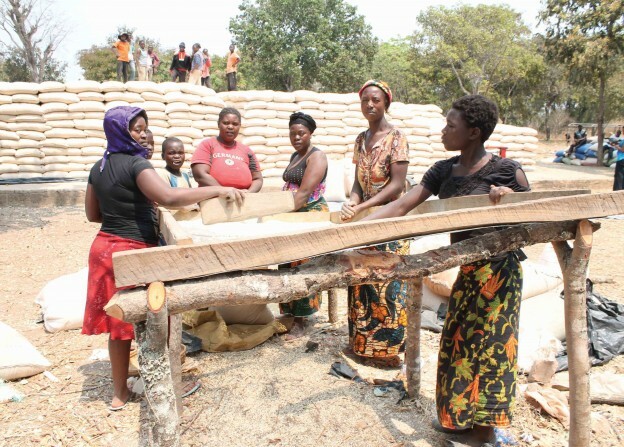 Due to depreciation of the Kwacha and other bad PF policies, this year the cost of production had shot up meaning farmers will not reap any benefits from their sweat but government will make money by buying the maize cheaply then exporting to Mozambique, Malawi and Congo at higher prices. Lubinda said the maize floor price does not mean this is what all farmers will be selling their maize at but emphasized that this is the price at which the Food Reserve Agency (FRA) will be buying the maize from farmers. Indeed, this is the prevailing type of low reasoning in PF. If government is buying maize at such a low price, who will be willing to pay more? In fact, brief case maize buyers use the government floor price to ‘negotiate’ by telling toiling farmers that ‘I can pay you less than what the government is offering but I will pay you in cash now instead of you waiting and going to queue in the next town which could be 50 kilometers away’. A farmer in a village would rather sell his bag of maize at K50 for immediate cash and pay for his children’ school fees than wait for K75 that might come after 6 months, in instalments and to which he is required to incur more costs such as transportation and storage. But Lubinda arrogantly said farmers are free to sale their maize to private buyers at higher price, if they wish. He however admitted that he is aware that farmers have expressed mixed feelings over this year’s maize floor price but that they are free to sale their maize to private buyers. Mockingly, Lubinda encouraged farmers to remain ‘focused’ and continue producing more as the nation relies on their efforts. Lubinda has amassed a lot of wealth in the period he has been minister of agriculture through corruption in fertilizer contracts. He is now one of the richest ministers.